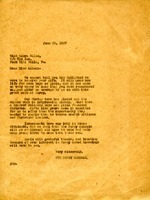 Eugene B. Davis writes a letter to Martha Berry informing her that he still can not help with her financial situation at the Berry Schools. 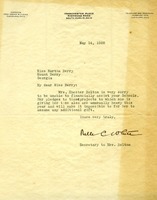 Letter written to Miss Berry apologizing for not being able to financially support Berry school. 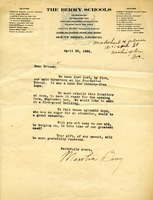 A letter from Martha Berry to a Mrs. Richard H. Wilmer, requesting help after the loss of the main dormitory, which housed 75 young boys.